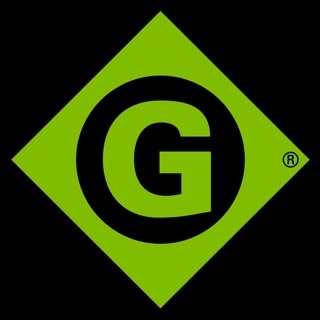 The crimp tracker keeps a running tally of total crimps made on the tool. 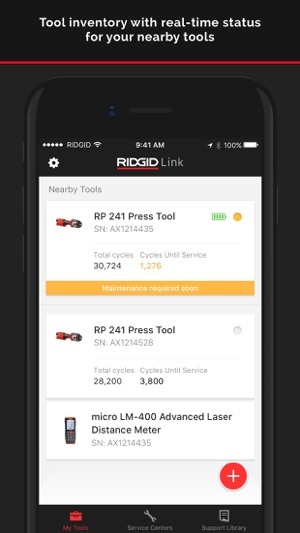 RIDGID Link provides an accurate snapshot of how many crimps remain on the tool before its recommended service date. 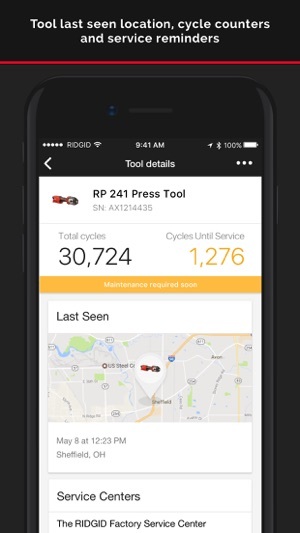 The app sends you a notification when your tool is approaching its service schedule. 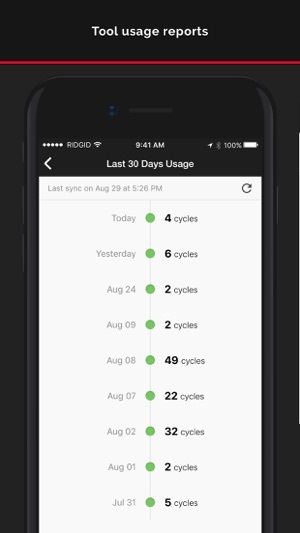 Easily monitor battery life remaining before a charge is necessary. Jobsites can be chaotic. Tools can easily be misplaced. 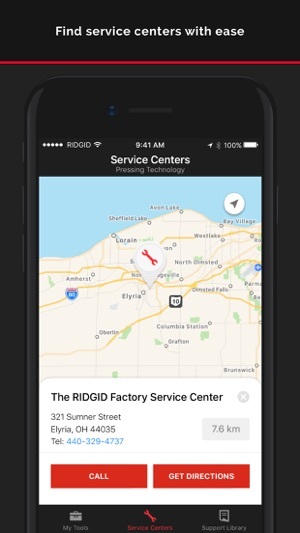 With the last-seen location feature, you can determine the exact location where the tool was last connected. Spend less time searching and more time pressing. 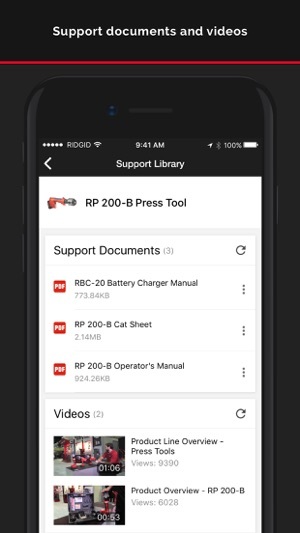 RIDGID Link is a one-stop shop for valuable tool resources. 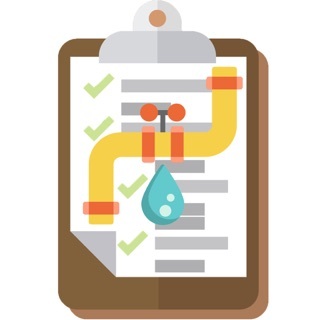 Find your closest service center, reference support documents and access instructional videos.